Known scientifically as Crithmum maritmum, rock samphire is a salt tolerant hardy, succulent plant that also has a number of other common names including Samphire, Sea-fennel, Crest Marine, Sampier, True samphire, sea samphire, rock fennel, crest marine and stone Samphire. The plant is native to Southern and western coasts of Britain and Ireland, on Mediterranean and western coasts of Europe including the Canary Islands, North Africa and the Black Sea. 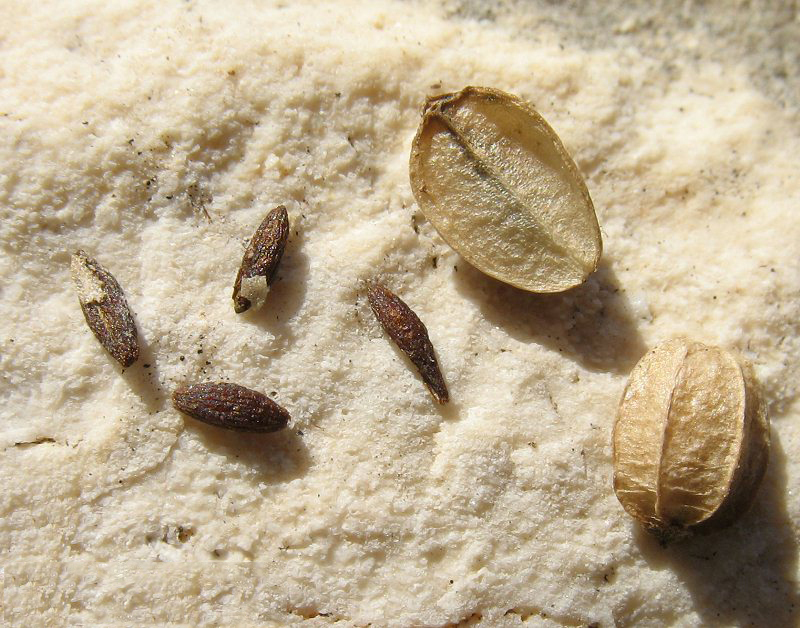 Both the genus name Crithmum and the plants colloquial Greek name, ‘Kritamo’, is thought to come from the ancient Greek word for barley, ‘krithmon’, because the seeds of both plants resemble one another. 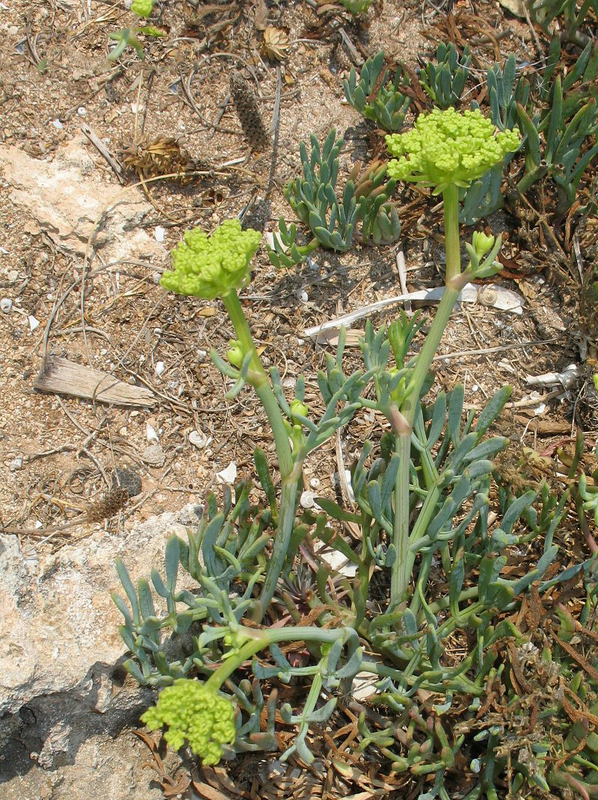 The species name maritimum refers to its natural habitat in rocky or muddy areas along the sea shore. If true, the derivation is very old as this plant was called ‘kríthmon’ or ‘krêthmon’ by the ancient herbalist Pedanius Dioscorides. 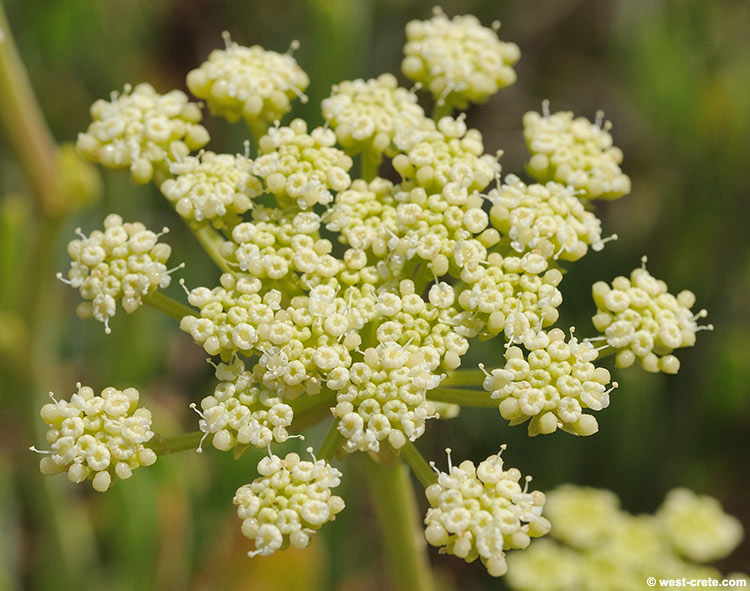 It is the only species in the Genus Crithmum and belongs to the carrot or parsley family (Apiaceae). The name “samphire” is derived from the French word “sampiere”, shortened version of “Saint Pierre”, which is a patron of fishermen. 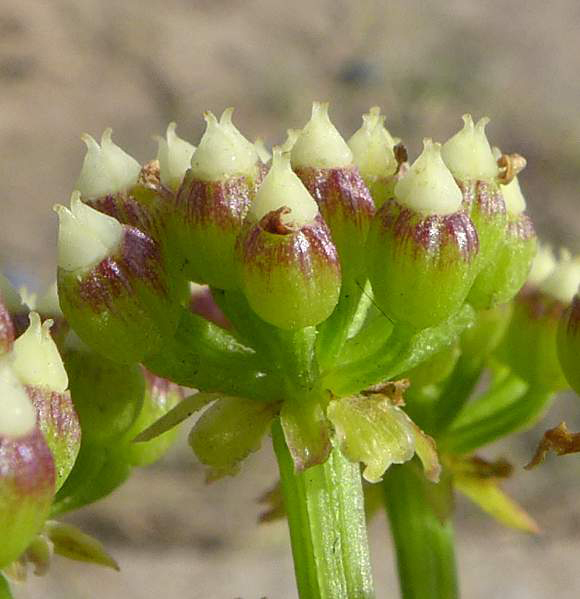 Name of the plant refers to the fact that this plant grows in the coastal areas. Rock samphire is also known as sea asparagus because it grows close to the sea and shares some morphological similarities with asparagus. This wonderful plant grows near sea shore and that is the reason it is called “sea vegetable “. Rock samphire is a salt tolerant hardy, succulent, smooth, much-branched perennial herb that grows about 10-30 cm tall. 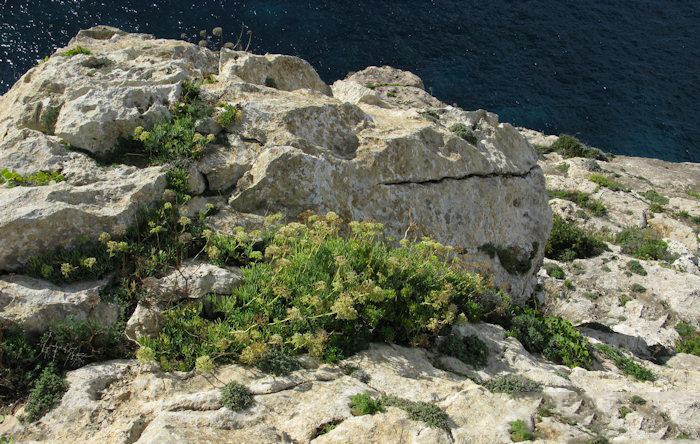 The plant is found growing on cliffs, rocks, or more rarely on sand, by the sea, rock crevices, and rocky shores and sometimes along shingle beaches. The plant grows best in sandy, well-drained soil. It prefers a moist light sandy or gravelly soil, doing very well between stones. Rock samphire is an edible wild plant. Plants are generally green but the color of flowers, seeds and fruits changes during the period of growth. This plant grows throughout the year and is considered as a perennial plant. Rock samphire has blue-green stems and leaves and yellow-green flowers. It is a salt tolerant hardy perennial plant. Leaves are 1–2-pinnate, 3–7 cm long; segments fleshy linear-oblanceolate, sub-terete, 3–5 mm wide, margins entire; petiole to 5 cm long. 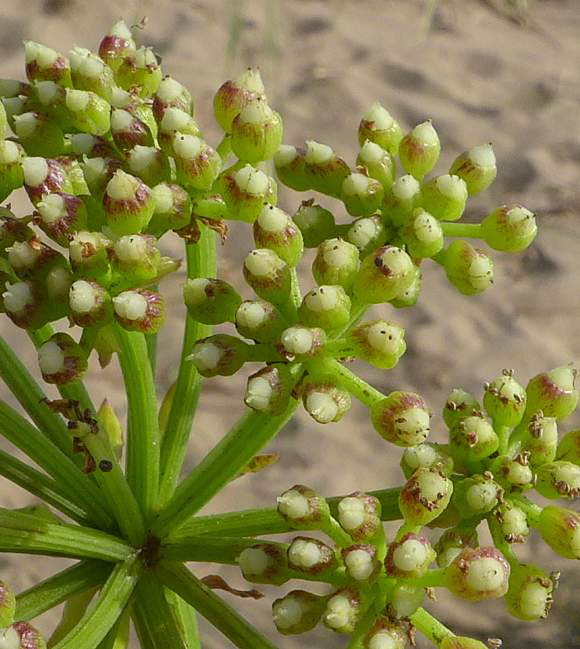 Flowers are umbels compound with 8–36 rays; 3–6 cm diam., peduncles. Bracts are 5–8 mm long and entire. Sepal is minute. Petals are 1 mm long, yellow or yellow green. Flowering normally takes place from June to August. Fertile flowers are followed by ovoid-oblong, 5–6 mm long, yellowish or purple fruit, spongy when fresh; mericarp is triangular in cross-section. Carpophore is 5 mm long. This species has a long history of use, both as a vegetable and as a medicinal plant, so it is possible to find lots of references. For instance, in the first century, both Dioscorides and Pliny the Elder referred to its consumption, eaten either raw or boiled, and also preserved in brine. Besides describing some other medicinal properties, they also agreed in the effectiveness as diuretic of a drink made with its seed, root, and leaves boiled in wine, especially to help frequent painful urination. Many other historical sources refer its use. Laguna (1555) mentioned that the preserved plant was brought to Spain from Sicily. Outside the Mediterranean region, the English Nicholas Culpeper describes the plant in his Complete Herbal (1653) as having a pleasant, hot and spicy taste and being a great “digestive”. The Spanish botanist Gómez-Ortega said that the part of Spain where the plant was more appreciated was Catalonia. There, the biggest sea fennel individuals were collected and prepared in vinegar to eat them, in salad or other several ways, all the year round, especially in winter. Frequency of cardiovascular disease seems to be going up year after year, with a significant amount of new cases having been traced to a deficiency of dietary potassium. Potassium is known to counter the effects of excess sodium in order to normalize blood pressure by decreasing the tensions in the walls of blood vessels. Regular Rock samphire intake is one way to get enough potassium and it may help lower systolic blood pressure (especially in people with pre-existing high blood pressure), lower bad cholesterol level, regulate heartbeat and help keep cardiovascular diseases in check. White blood cells are the body’s first line of defense which stops harmful disease-causing invaders before they are able to cause infection. Rock Samphire has a good amount of Vitamin C which enhances the rapid production of white blood cells thus, safeguarding the body during flu season or when likely to be compromised. Iron is important for metabolism and the production of red blood cells which further encourages growth and maintains health. 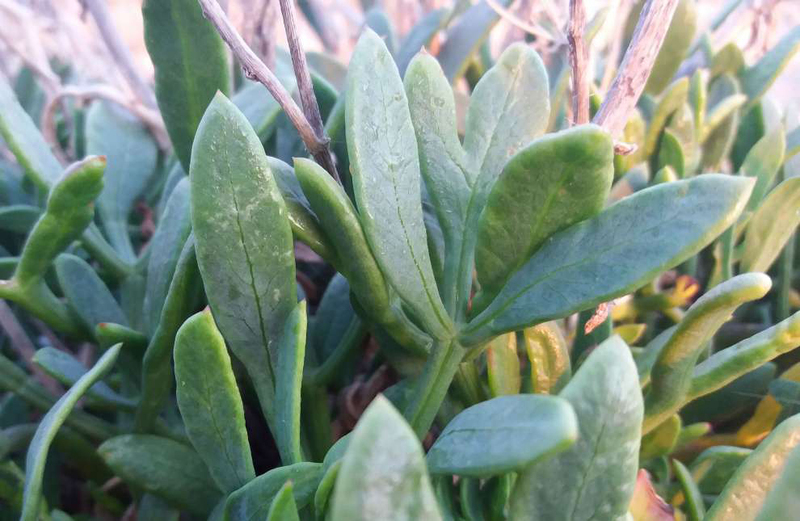 Moderate amount of dietary iron in Rock samphire may assist iron in the transportation of oxygen from the lungs to the rest of the body and a reduction in the risk of diseases such as anemia. Beneficial bacteria play important roles in the digestion and absorption of food. Regular consumption of Rock samphire may be one of the best ways to boost beneficial bacteria naturally since it is rich in dietary fiber. Ensuring we consume enough of this dietary fiber helps ensures that these good bacteria are constantly nourished, allowing them to neutralize any damage from harmful microbes and improve the performance of the immune system. These bacteria may also increase the digestion of food and prevent conditions that allow for growth of harmful bacteria. Recovery from tissue damage is more of a repair process than a regenerative one and so, to efficiently recover from damage to the cells, the human body utilizes proteins. Protein is accountable for the building and repair of structures that may have undergone one form of damage or the other. Dietary protein in samphire may be able to build and maintain muscle, burn calories and improve satiety. Since protein is utilized in many vital processes, it is significant that it should constantly be replaced, thus, eating Rock samphire may help refill any lost protein in the body, even though its overall amount may be small, every little bit helps. Vitamin C is a natural forager of free radicals that actively cause cellular damage. Vitamin C in Rock samphire may slow the ageing process in two ways. First, it possibly reduces the defined lines that form when there is a reduction in the level of collagen production by the body. It does this by increasing collagen production so the elasticity of the skin is restored and it is able to bounce back to its original form when stretched. Secondly, Vitamin C decreases the size of large pores on the skin, having a natural astringent property on skin. Rock samphire is little used in herbal medicine, though it is a good diuretic and holds out potential as a treatment for obesity. It has a high vitamin C and mineral content and is thought to relieve flatulence and to act as a digestive remedy. Young growing tips are carminative, depurative, digestive and diuretic. Leaves have the reputation for helping people lose weight and so are used in treating cases of obesity as well kidney complaints and sluggishness. It is a good diuretic and holds out potential as a treatment for obesity. Strong extract made from the plant has been used traditionally as an herbal remedy for intestinal worms. Essential oil in the herb is also thought to be good for the digestive system. It may be helpful in reducing intestinal gas production in the same manner as fennel. Leaves of the plant have a reputation of being helpful for losing weight and to treat obesity. 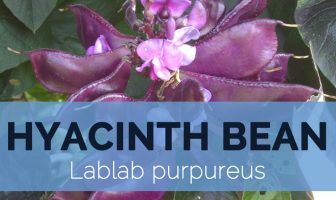 Extract from the plant is used to regenerate wrinkles, help deal with brown spots, and provide shine and improved skin tone in cosmetic and creams. Leaves are used as a flavoring in salads etc. Gathered in spring, the young leaves when sprinkled with salt and boiled make a very good pickle. Leaves are rich in vitamin C.
Seed pods are used to make a warm aromatic pickle. Stems, leaves and seed pods may be pickled in hot, salted, spiced vinegar, or the leaves used fresh in salads. Plant is considered particularly suitable for many fish and seafood dishes. 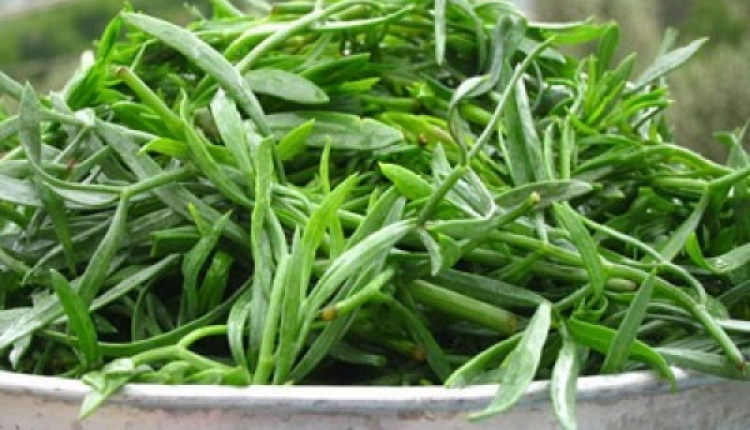 Succulent leaves and stalks of rock samphire can be boiled or steamed and eaten in the same manner as asparagus. Highly aromatic and salty leaves can also be used fresh in salads. 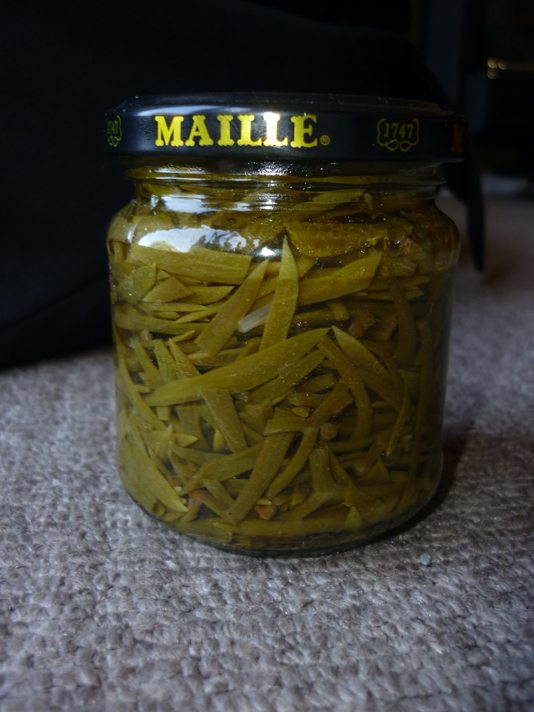 Furthermore, the young leaves, stems, and seeds can be used in pickle making. The tender leaves and stems, collected both in spring and summer, and even in autumn, have been traditionally consumed as a salad vegetable in most Mediterranean countries, such as Spain, Italy, Slovenia,Croatia, Bosnia-Herzegovina, Greece, Cyprus, Turkey, Tunisia, and Morocco. Although it can be eaten raw, it is frequently scalded in boiling water to soften, before using in salads. Tender leaves and stems have been traditionally preserved as pickles or brines throughout the Mediterranean region. In Cyprus, it is eaten like an appetizer with several kinds of food in the Balearic Islands; they are typically eaten with bread and olive oil, or prepared with capers. It is also used as a cooked vegetable, usually mixed with other species, so it can be also considered as a condiment, depending on the proportions of use. It is sold included in wild vegetable mixes, in the markets of Dalmatia, Croatia, and in Menorca, Spain, where it is cooked with rice. As a condiment, it has been used for seasoning olives, together with other aromatic plants, such as thyme and oregano in Catalonia, Spain, and also for homemade anchovies in brine, being covered with the leaves of the plant that confer them an special scent. In Italy, the plant is used for the elaboration of sauces, or as a fish condiment, being also employed in modern cuisine. 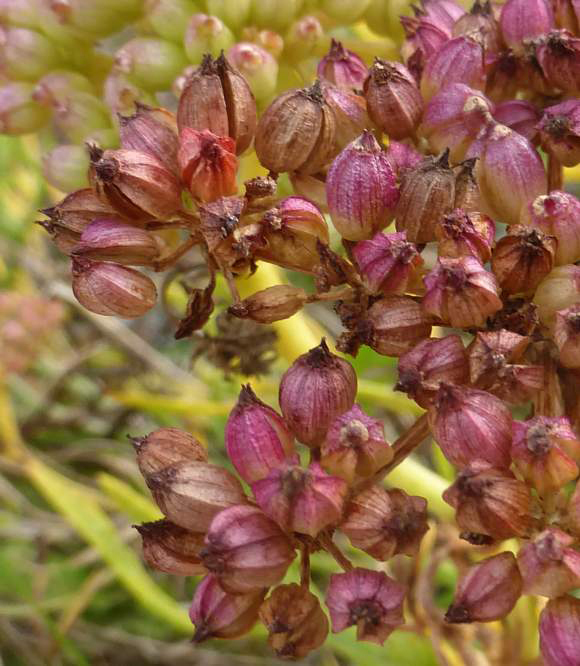 Besides the leaves, the seeds are also used as a condiment, in Sicily. 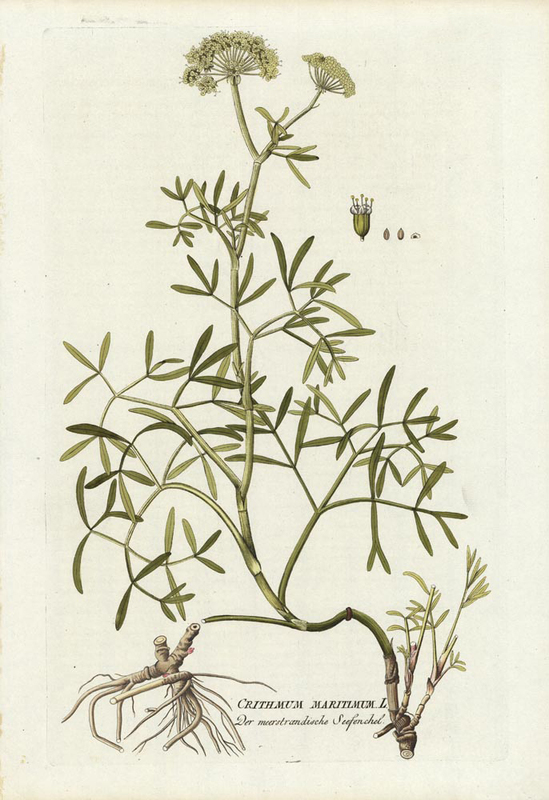 In Mallorca, Spain, some people used this plant, instead of fennel in the elaboration of the typical herb liqueur. 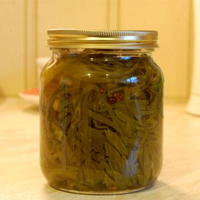 Nowadays, some supermarkets sell jars with the pickled leaves. Whole plant is aromatic and has a powerful scent. Use of Samphire as a condiment and pickle, or as an ingredient in a salad is of ancient date. In some seaside districts where Samphire is found, it is still eaten pickled by country people. In the past, rock samphire was consumed by sailors to protect them against scurvy. When cooking with samphire, there is no need for more salt to be added, as the vegetable is more than enough to flavor the food. Flowers produce pleasant, sweet odor which attracts various insects that play important role in the pollination of this plant. 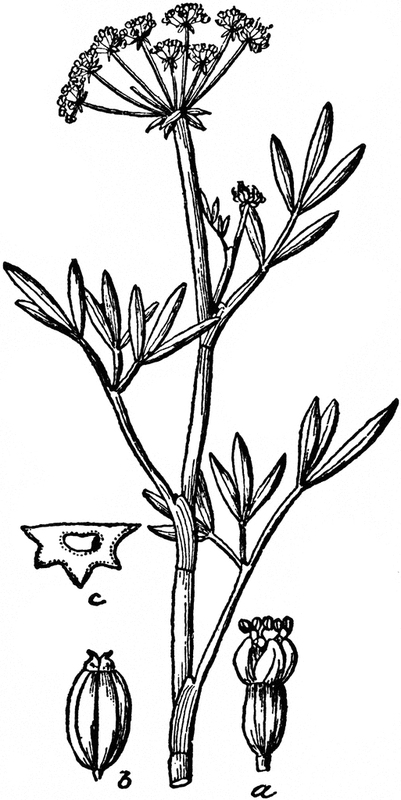 Rock Samphire is even stated in one of the best-known Shakespeare’s pieces – “King Lire”. Remove Rock Samphire leaflets from main stems, and thinly slice the echalion shallots. Put the leaflets and shallots in cold salted water for 30 minutes. Make sure they are submerged. Put Rock Samphire and shallots in a saucepan and cover with water, then bring to the boil and simmer for 5 minutes. Strain and cool. The spoon into sterilized jam jars. Now put white wine vinegar, sugar and spices into a saucepan and stir over a medium heat until sugar has completely dissolved. Pour into jars and cap. Leave for at minimum a month, and preferably three. However one jar of mine didn’t last 24 hours and still tasted fantastic. 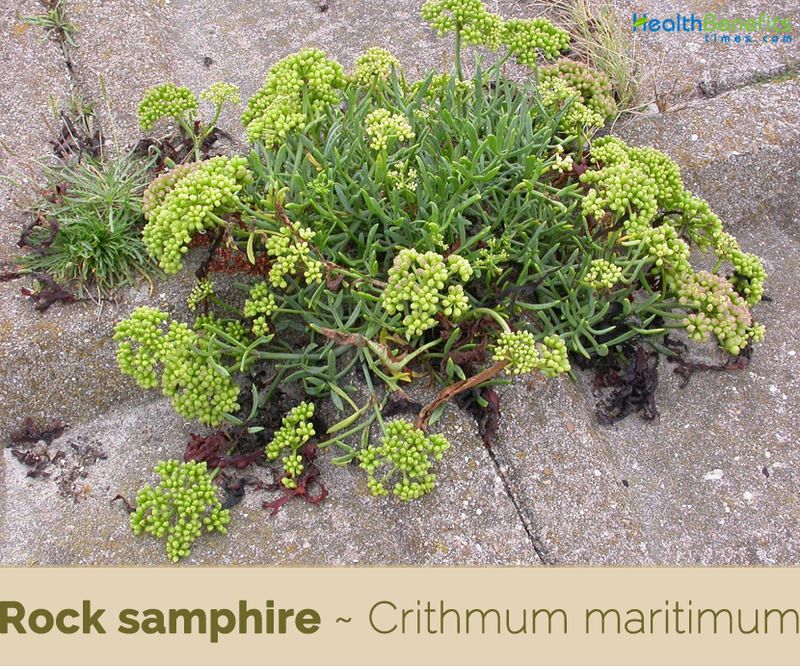 Rock samphire consists of furocoumarins that can make some people more sensitive to sunlight (UV light) and causing a reaction known as phyto-photo dermatitis. Phyto photo-dermatitis appears only where the skin has been exposed to sunlight, usually within hours after exposure. You should never use rock samphire essential oil internally and should dilute it with carrier oil before applying it topically. People who already suffer from high blood pressure or are at high risk for cardiovascular diseases, samphire should be eaten with caution. Calories 30 K cal. Calories from Fat 3.87 K cal.